On the afternoon of Saturday, May 12, Regina Opera, located in Sunset Park, Brooklyn, presented a dazzling Aida. 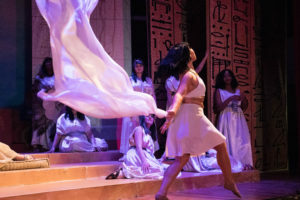 This production of Aida was dedicated to the memory of Marie Cantoni, founder of the Regina Opera. This was truly a special afternoon. Aida has never been done before at the Regina. With its Grand March and “cast of thousands,” and history of outdoor stadium performances, it seemed an impossibility. Gifts from the Donald C. Brace Foundation and The Liu Foundation made this production possible. Composed by Giuseppe Verdi (1813-1901) for the opening of the Suez Canal in Egypt, its premiere on December 24th, 1871 included a libretto by Antonio Ghislanzoni and was a major happening. It has been in the repertory of the world’s major opera houses and everyone is familiar with the Grand March. The music is pagan and magnificent, and is another Verdi masterpiece. Music Director Maestro Gregory Ortega stepped to the podium and the magic began. We were in the King’s Palace in Memphis, Egypt. Radames, the Egyptian warrior chosen to battle Ethiopia, is in love with Aida, daughter of the enemy King Amonasro who was also captured by the Egyptians. Radames then sings “Celeste Aida” where he pledges his love for Aida. This iconic aria is one of the staples of opera. Tenor José Heredia was Radames. His singing of “Celesta Aida” was cautious and held back, then grew in strength. His final“Vicino al sol” was sung softly, diminished from the entrance of the note, which is the preferred way. 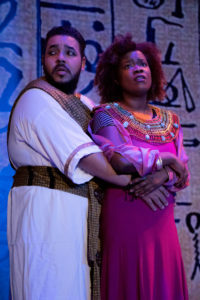 Aida (Carami Hilaire) & Radames (José Heredia). Photo by Colleen Smith. Enrico Caruso was Radames with the MetOpera on tour in Brooklyn on January 17,1909 with Arturo Toscanini conducting at the Brooklyn Academy of Music (BAM). Caruso belted the final “vicino al sol” in his 1911 recording and it was pure gold. Famed conductor Arturo Toscanini had Brooklyn tenor Richard Tucker sing it loudly, then repeat it softly. Franco Corelli reduced the final note to a whisper and Pavarotti also diminished the tone. Verdi might have preferred it diminished but I am a Caruso man and prefer it sung all out. I think most audiences prefer the “all out” version. 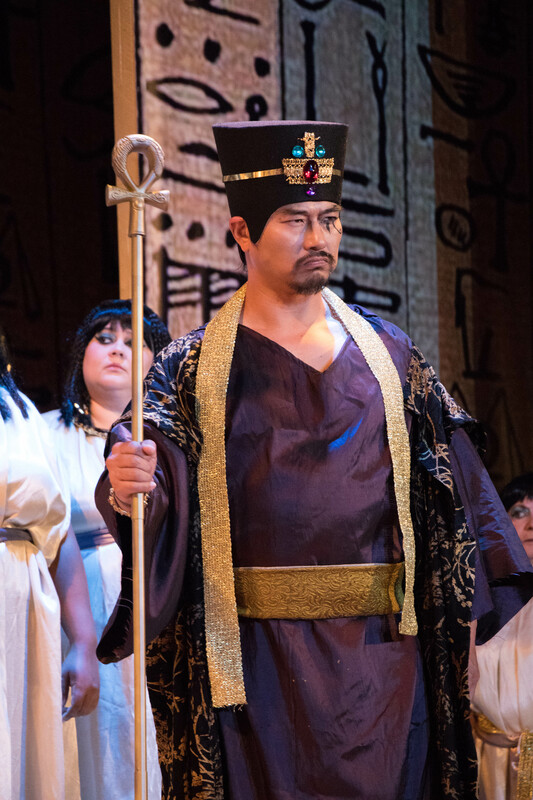 In the next scene I enjoyed Mr. Heredia’s full voiced “Immenso Ptah.” His scene with Amneris, “Già i sacerdoti adunansi” was sung with precision and power. His “Sacerdote, io resto a te” was sung with intense abandon. His “La fatal pietra” with Aida in the tomb was sung with ample lyricism and his “O terra addio” was a bittersweet blending of a struggling and sad-but-together finale. 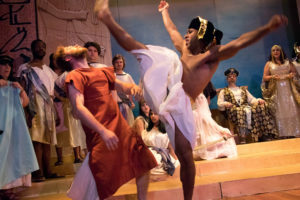 Mr. Heredia was a Radames with strong potential. 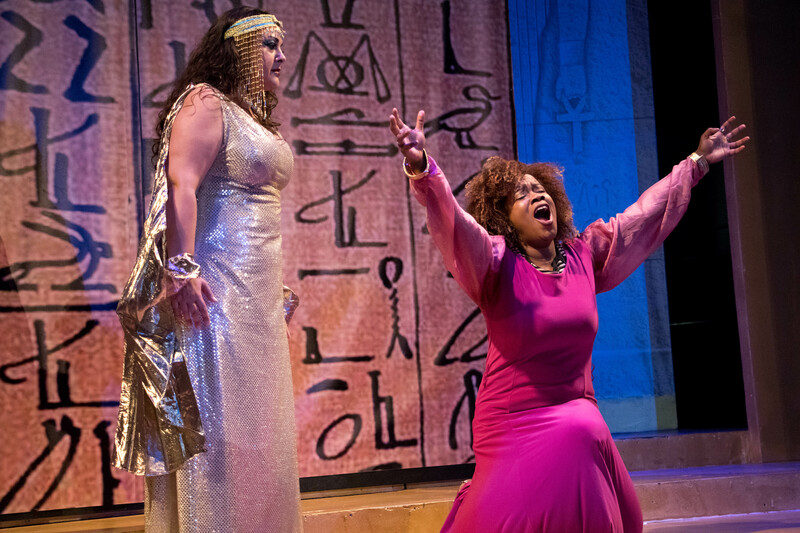 For the Regina performance, Carami Hilaire was Aida, a solid Brooklynite with a remarkable soprano voice. 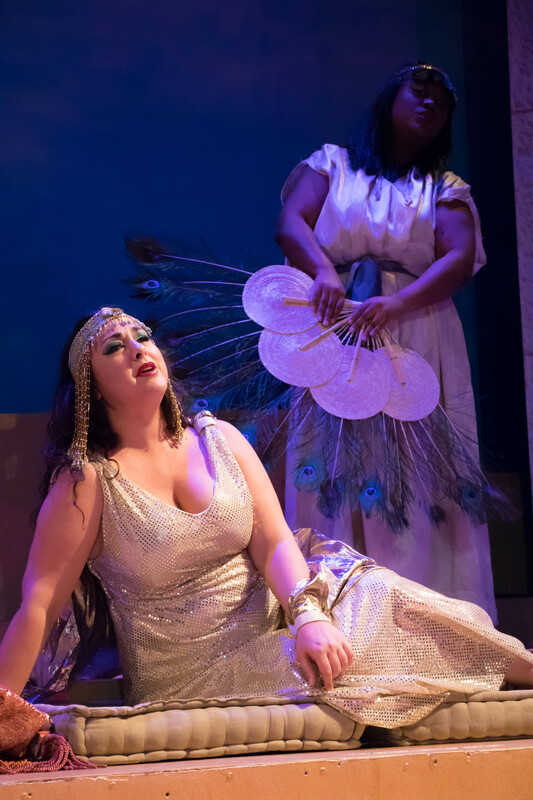 In her scenes with Amonasro, she was torn with emotion but she could not abandon Radames or her beloved country. Ms. Hilaire sang “Ritorna vincitor” with passion, conviction and a hint of confusion of her backing her lover against her father. Ms. Hilaire has a strong voice and it goes with her equally strong acting ability. Her “O patria mia!” was sung with beauty of tone, passionate emotion, wonderful power, and tender softness, and was a strong example of Ms. Hilaire’s outstanding talent. Her joining Radames in the last act with “O terra addio” was sung with radiant abandon as they die together. Ms. Hilaire is a true daughter of Brooklyn and a true Verdi soprano. Her performance rates among the very best Aida’s I have ever seen. 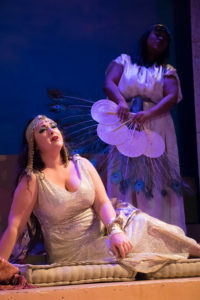 Amneris was in the persona of mezzo soprano Lara Tillotson. Her first act triumphs and her fears are combined in a exciting frenzy. 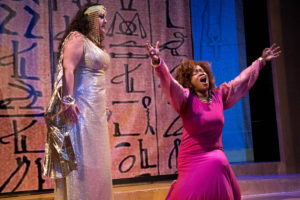 Amneris’ soul was revealed by her scenes with Aida, saying Radames was dead then that he was alive, to check Aida’s reactions. The emotions were enhanced by the excellent supertitles by Linda Cantoni. 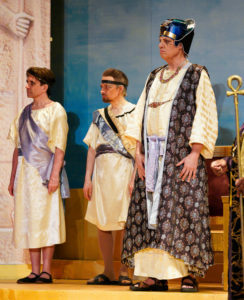 In the Judgment scene in Act 4, Amneris’ “A lui vivo, la tomba” was sung brilliantly and culminated with“Empia razza! Anatema su voi! La vendetta del ciel scenderà!” which was greeted by an ovation for its tremendous – beautifully sung and acted – imploding of Amneris. 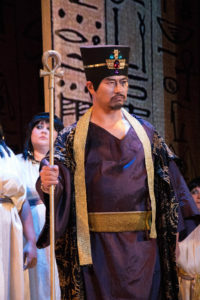 Amonasro, Aida’s father was sung by Peter Hakjoon Kim, whose stellar stage presence and superb baritone moved the audience. His singing of “Ma tu, Re, tu signore possente” in Act 2 was eloquent and elegant. Kim’s strong fearless and pliable baritone is truly a Verdi baritone and has beauty, passion and something more. His scene with Aida where he threatens to”disown” her was truly powerful. The King of Egypt was sung by Peter Ludwig. His robust basso was authoritative inSalvator della patria, io te saluto” and “Or di vulcano al tempio” in which he was joined by the excellent Regina Chorus. Justin Scott Randolph was the Messenger. His fine powerful tenor has a future in larger roles. Aida Carducci was a splendid high Priestess. Her shimmering powerful soprano took over and made one listen. Maestro Gregory Ortega led us in a lyrical and powerful performance. The Grand March was triumphantly performed and the “O terra addio” had heavenly qualities to it. This was a truly memorable performance from the 36 splendid musicians. Christopher Joyal deserves plaudits for the strings, which were magnificent. It was nice to see violinist Diana Barkan. Kudos to Jerome Neuhoff on the tympani. The woodwinds, brass, trumpets and horns were stirring and majestic. Bravi tutti! 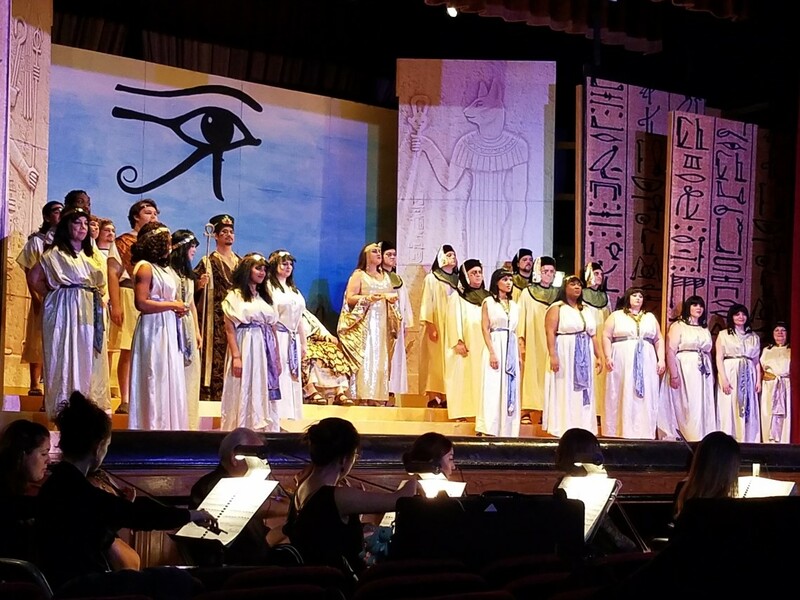 The Chorus had much to do in the Grand March and the group included chorister Cathy Greco who is truly a good luck sign amidst the various Egyptian codes. The costumes were the magnificent creations of Marcia Kresge and Tamara Belgrave. The sparkling gold dazzled the eyes and haunted the memory. Egyptian Guard in white (Edwardo Brito). Stage director and set design was the result of the superb incomparable Linda Lehr. The “wrestling scene” with Edwardo Brito and Sean Murphy in lieu of a spectacular march was very diverting. Wayne Olsen’s brilliant Egyptian graphic design was truly magical. The excellent dancers were Wendy Chu and Kelly Vaghenas. They danced gracefully and were ethereal in their movements. A dancer entertains Amneris (Lara Tillotson). 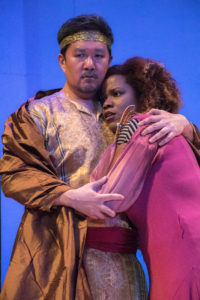 It was so nice to meet and greet in the audience, which included the affable bass-baritone Charles Samuel Brown, who was King Balthazaar in Amahl and the Night Visitors at the Church of the Transfiguration (aka The Little Church Around the Corner) in New York City with my grandson Luciano as Amahl. My son Marcello, his wife Tanya, and my grandson and granddaughter Luciano and Leeza enjoyed the Aida with friends Olga and her son Ilia and daughter Nicole and friend Svetlana. They will all be future Regina Opera goers. Thanks to Francine Garber, President; Linda Cantoni and Maestro Alex Guzman, Vice Presidents; Joe Delfausse, Treasurer; and volunteer Marlene Ventimiglia. This incredible production took us “out of the commonplace and into the rare.” The Regina Opera really makes one feel welcome. After the opera, we went for a delicious Mexican dinner at nearby Casa Vieja, where Lourdes Peña and staff treat us and our guests royally. 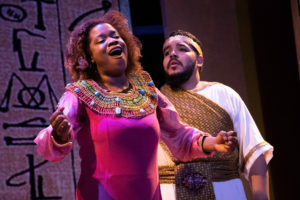 Sunset Park is rising high among Brooklyn neighborhoods, thanks to the Regina Opera and such restaurants as Casa Vieja. A sangria toast to The Regina Opera! Here’s to the upcoming 49th glorious season! Marie Cantoni’s creation is so vital to New York. 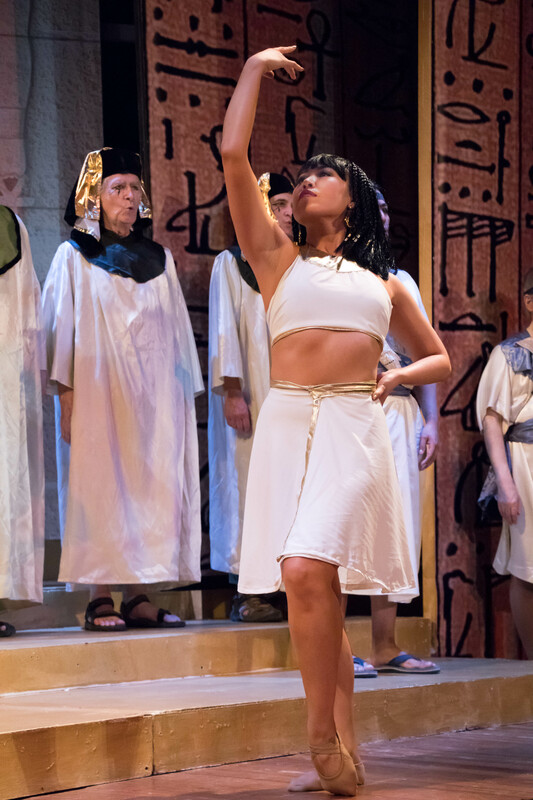 This magnificent Aida would have made her and her new friend Giuseppe Verdi very happy indeed!